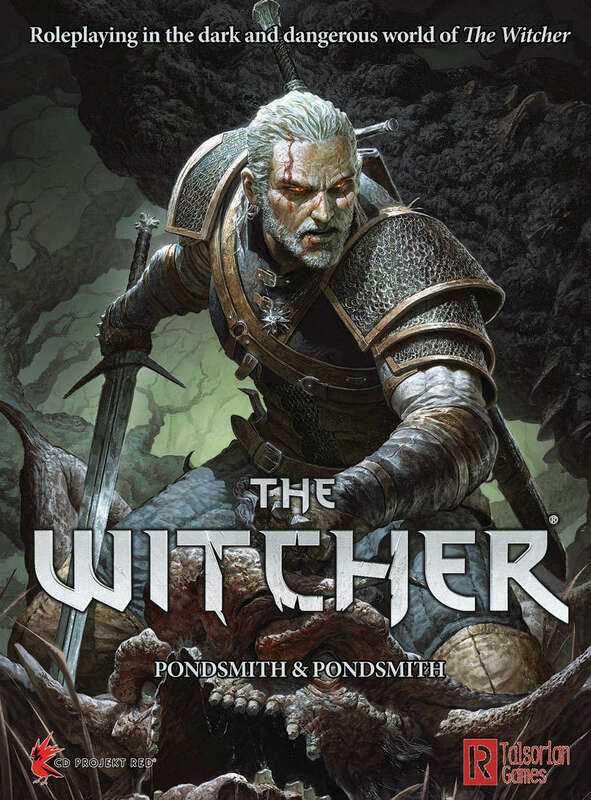 I am actually surprised I missed The Witcher when it first came out, considering it’s the first new product from venerable and beloved publisher R. Talsorian Games in a very, very long time. They’ve been pretty heads-down with the Cyberpunk 2077 computer game project, but here at last is this well-received adaptation of the fantasy digital game (itself based on a series of short stories and novels). A most excellent addition to New and Fantastic Week. 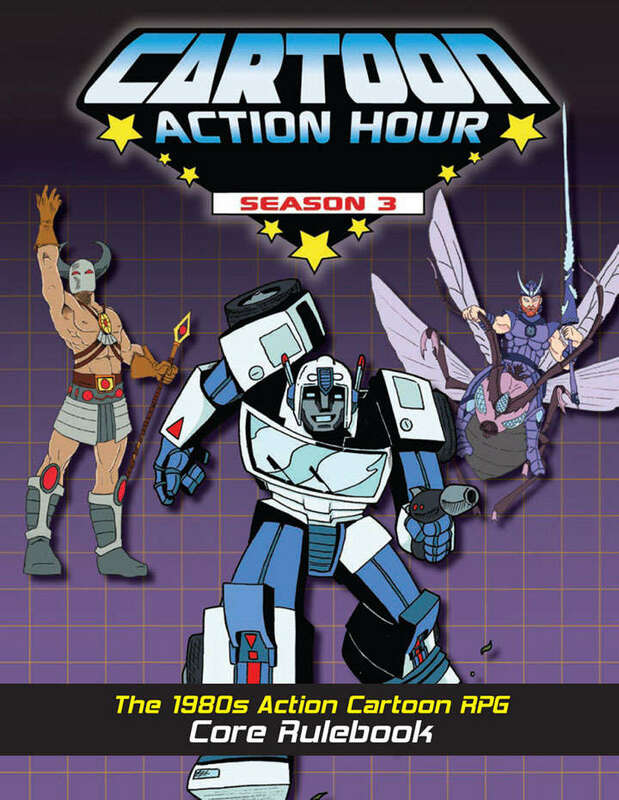 The best part for me is that it’s co-written by Lisa Pondsmith and Cody Pondsmith, the latter who I remember meeting as a baby! And now he’s a fellow game designer! This is one dynasty I am thrilled to see develop! Today, as we continue New and Fantastic Week and celebrate the latest fantasy-themed products, the spotlight shines on Manastorm: World of Shin’ar for the Pathfinder RPG. 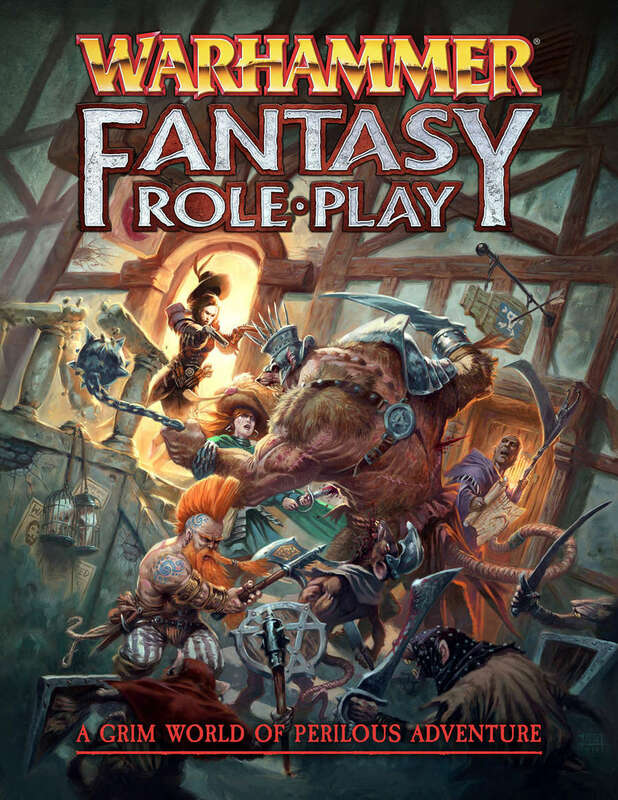 16 new races and a world surrounded by a bubble of “strange radiation” are the core elements of this 500+ page tome meant to give you a whole new setting for your PF gaming. Journey to the planet of Shin’ar where the inhabitants have learned to control an atmospheric bubble of radiation that surrounds them they call the Manasphere. This high magic world of epic fantasy will introduce the players to 16 new playable races each with their own unique racial hybrid class. Most of the races found themselves deposited on the planet during one of the turbulent times of chaotic magic known as Lunar Quickenings. In addition, the Manastorm: World of Shin’ar campaign setting boasts 10 expansive regions to explore, new deities, spells, skills, feats, prestige classes, and more! Enter a word where clockwork airships fly and the gods walk among their faithful. 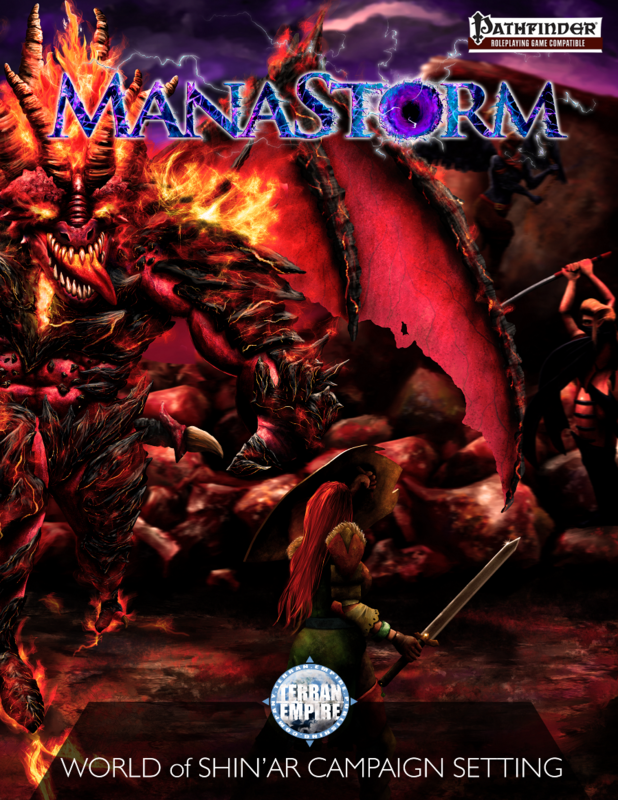 Come see if you can survive a Manastorm! Manastorm: World of Shin’ar is a full-color, 530 page, Campaign Setting compatible for the Pathfinder Role Playing game! 50 exotic weapons for your D&D 5e campaign, plus 50 enchanted versions of those weapons. All illustrated. Yeah, this is some serious hot newness to go along with our New and Fantastic Week. 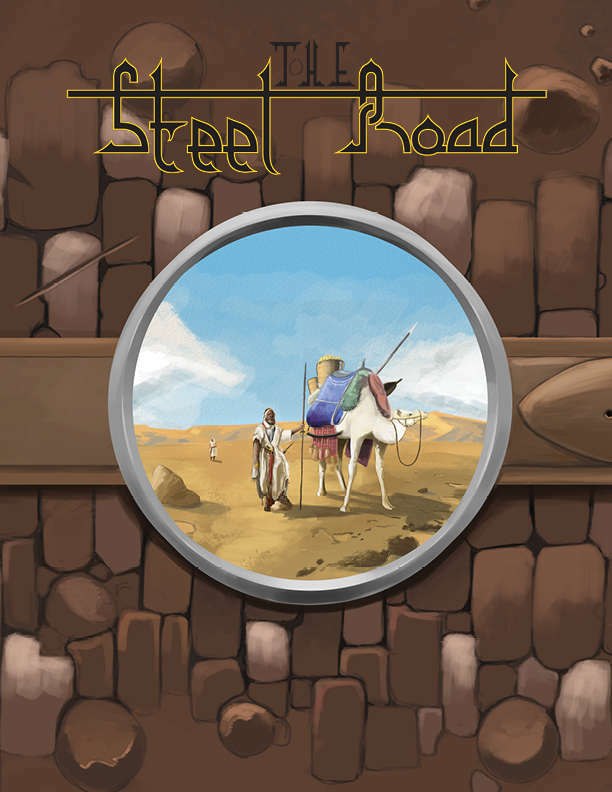 Check out the latest Kickstarted specialty product from Sinopa Publishing, The Steel Road. Follow the journey of Hadj Yosef Khan as he travels the known world and beyond, discovering the weapons of far flung countries. Embrace exotic weapons from Africa, Eastern Europe, India, China, Japan and the Islands of the Pacific. This book contains 50 illustrated exotic weapons, and 50 illustrated enchanted versions of those weapons. Yes, 100 weapon illustrations done in sketchbook style, to give this book the feeling of a log book handed down from our narrator. Each weapon description comes with stats for use with the 5th edition game mechanics, as well as narrative text that describes the adventures and struggles faced by Yosef. Each enchanted weapon is a unique creation, suitable for questing for. The narrative content provides an abundance of source material to draw from. This the color edition: color edition contains b/w sketch art and a color, faux-parchment background. The Black and white editions contain b/w sketch art and no background. Welcome to New and Fantastic Week, a celebration of the latest fantasy RPG releases. This one starts off with its inspiring product, the Unity RPG from Zensara Studios. I had the pleasure of consulting with them early on as they put their Kickstarter together, and I was very kindly rewarded by having my “eternal hero,” Nick Silverwolf, cast as a character in the setting (complete with awesome art piece). This is a new game, top to bottom, with its own core rules and a deep, involved setting that fits within what I like to call “arcanotech fantasy,” where it’s not really steampunk, but you wind up with guns and some other aesthetics from that space in an otherwise decidedly epic fantasy milieu. The art, frankly, was the first thing that brought me into this one, and it’s something truly special. Unity is an epic fantasy tabletop RPG. The unique setting blends high fantasy with a flavourful dose of arcane-infused technology. 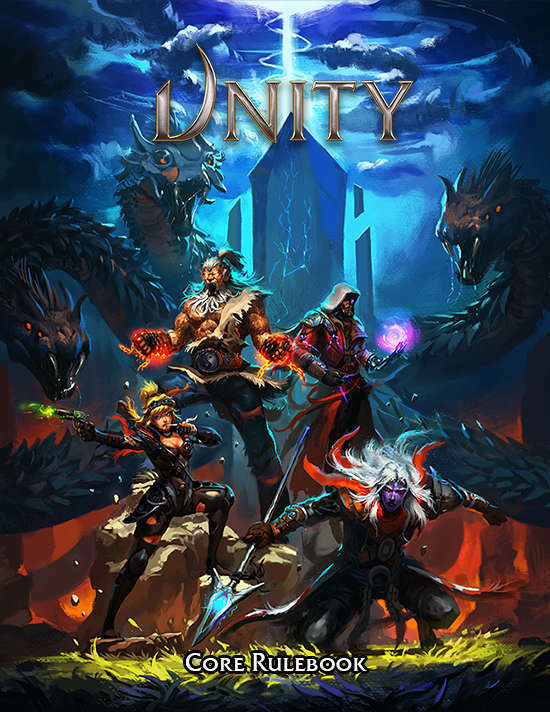 Unity focuses on telling spectacular stories while emphasizing teamwork with a combat engine that allows players to combine their powers and develop interesting synergies for a deep and fulfilling tactical experience. The Digital PDF comes fully bookmarked and all page references are hyperlinked. Take a look at our 40+ PAGE FREE SAMPLER to get a deeper look at what Unity RPG is about! A beautiful human being, inside and out, and one of the most respected and prolific creators in tabletop RPGs, Steve Kenson is a loud-and-proud voice in the LGBTQ community. His work is found extensively throughout the gaming industry, including Green Ronin’s Mutants & Masterminds, Blue Rose, Modern AGE, and the upcoming Expanse; his own Ad Infinitum Adventures imprint, where he continues publishing great stuff for his ICONS line; and the recently-released (on DriveThru; originally published in the late 90s) In Nomine line from Steve Jackson Games. Talented and kind, Steve is one of the Best of Us, period. The Angelic Player’s Guide contains everything you ever wanted to know about angels — their history, their laws, the Choirs they belong to and the Superiors they serve . . . even the dark paths that can lead them to a Fall from Grace. 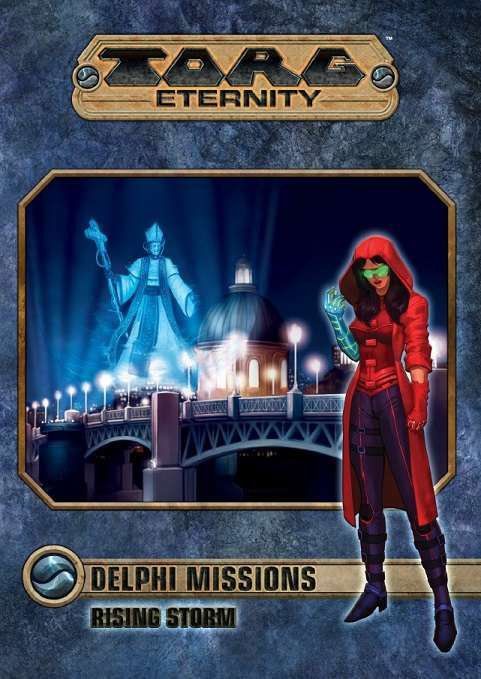 In addition to expanded angel descriptions, it provides the players with four new campaign concepts and several ways to run them. Also included are special rules for playing Outcasts and relievers, and a chapter on angelic reproduction. The Angelic Player’s Guide even has a step-by-step “Angel Creation Guide” for quickly and easily generating unique angel characters. 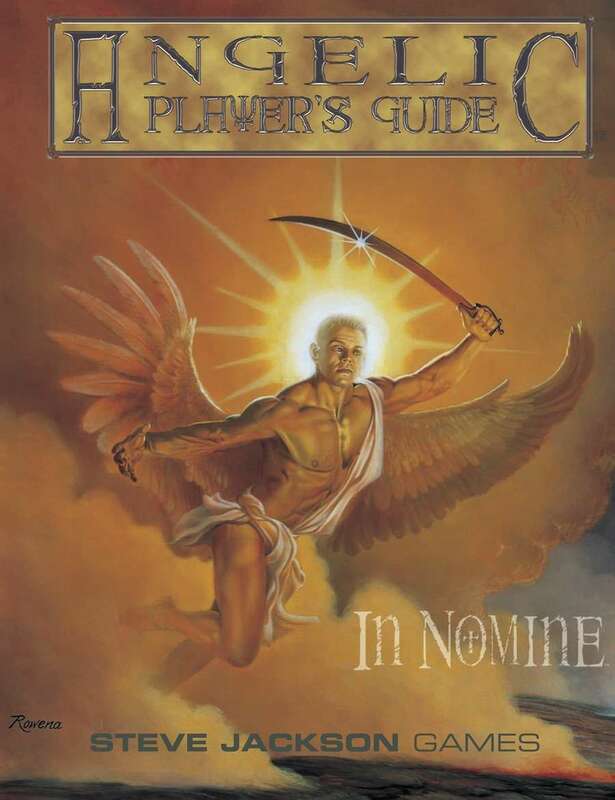 The Angelic Player’s Guide is a companion to the In Nomine roleplaying game. Watch your step and don’t Fall. I am very grateful for the positive response to my Celebrating Diversity Week, and we continue by celebrating Eloy Lasanta, a dear friend and another member of the progressive New Agenda Publishing team. 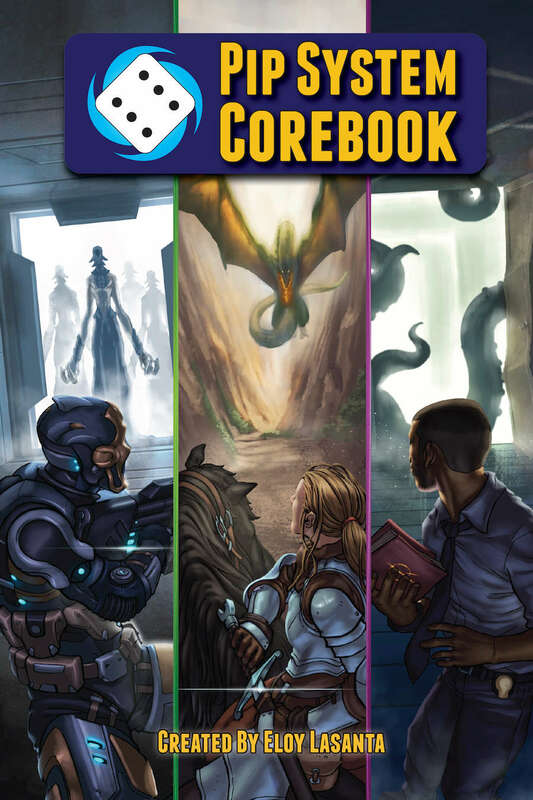 The genius behind the enchanting and kid-friendly Mermaid Adventures; the martial arts fantasy epic Ninja Crusade; the genre-bending AMP series; and the deeply twisted Sins of the Father, Eloy’s taken the core of his best system work and released it as the Pip System Corebook. Eloy is one of the strongest voices in gaming, period, and this comes mainly from (a) him being genuinely the nicest person you will ever hope to meet and (b) the hardest-working sunavagun ever to take up the path of tabletop RPG design.